Box of 9 assorted filled chocolates. 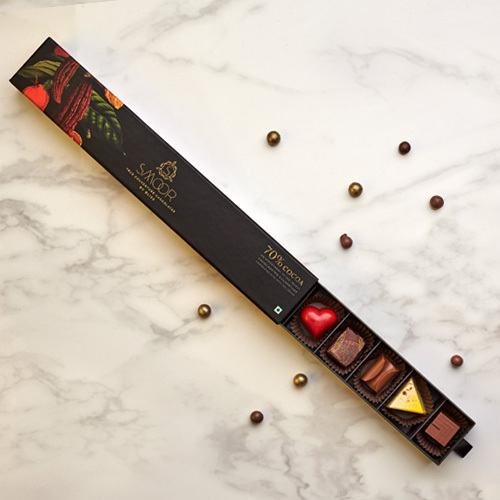 A box of 9 delicious pieces of chocolate to gift to your friends, colleagues and family on special occasions and upcoming festivals. Your search for the top-notch flavoured chocolates ends at Smoor, and now you can buy 9 piece chocolate box online with ease. In addition to the online experience, at our store you can take your pick to buy chocolates in Bangalore while seating yourself to taste delectable dishes on the menu. Planning on gifting the best boxed chocolates to your friends? Irrespective of the occasion; be it birthdays, anniversaries, Valentine’s Day or festivals like Diwali, Easter or Christmas, our Online chocolate shopping collection has an exciting range of gift boxes with assorted chocolates, macarons and chews. Also you can customize your chocolate box with your favourite pieces. Buy chocolate gift box online, Find your favourite flavour options on our website i.e. 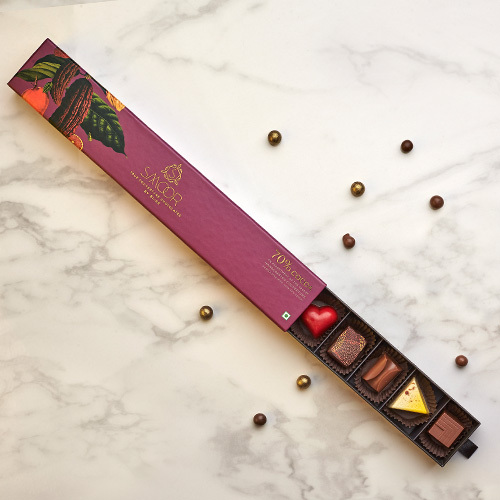 Smoor Chocolates and fill the cart to your heart’s content. With our reliable delivery service, happiness will come to your doorstep.